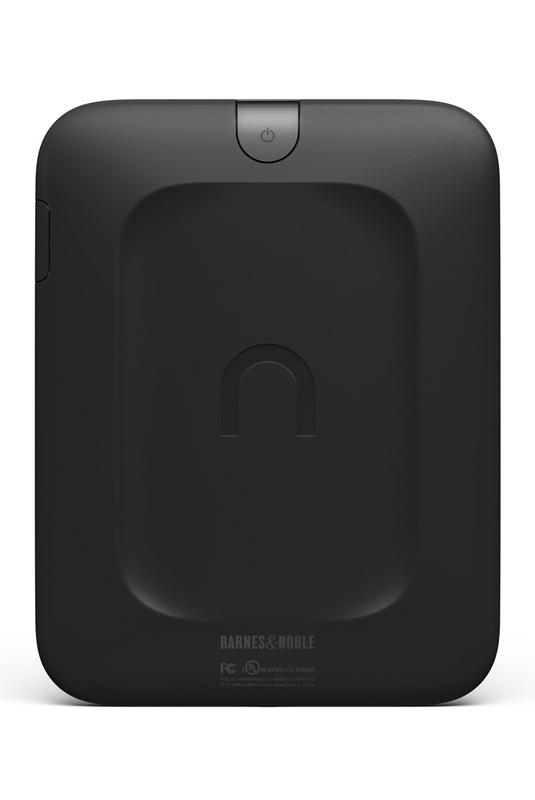 Barnes & Noble has unveiled its all-new Nook, promising up to two months reading on a single charge. 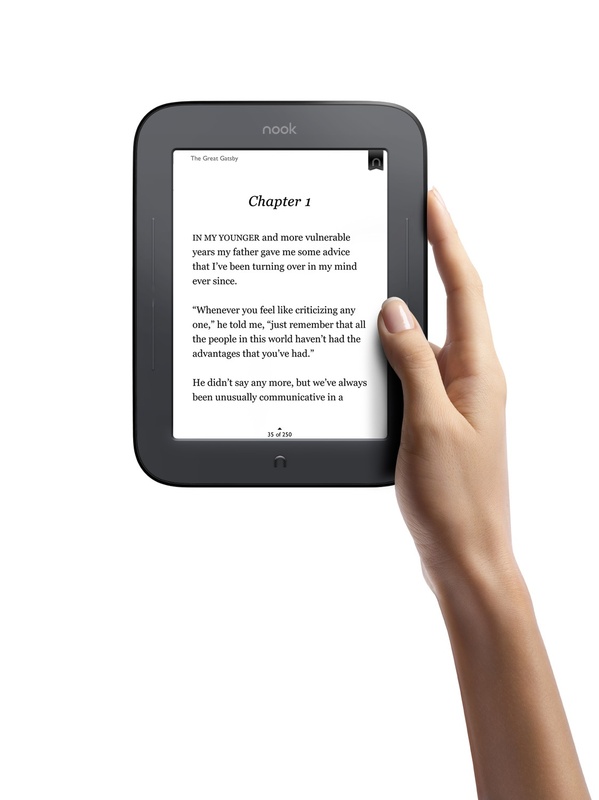 Called “The Simple Touch Reader”, the device sports a 6-inch (800×600) full touchscreen, E Ink Pearl display which offers “80-percent less flashing” during page turns. 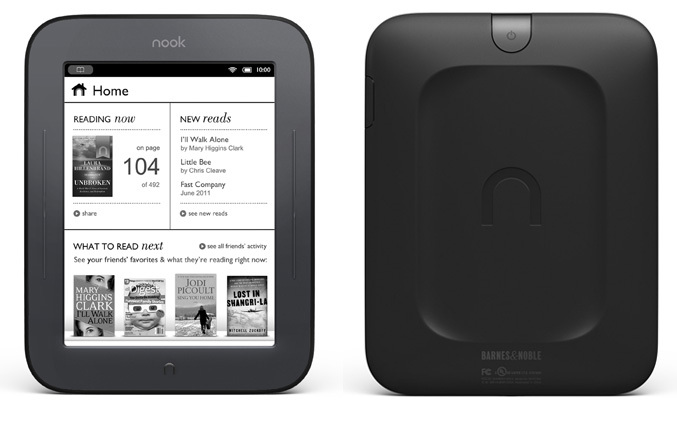 The new Nook features ergonomic, contoured design with a soft-touch back and is 35 percent lighter and 15 percent thinner than NOOK Wi-Fi 1st Edition, it measures 6.5 inches high by 5 inches wide by 0.47 inches deep and weighs 7.48 ounces (212 grams). The eReader device is based on Android 2.1 OS, powered by 800MHz TI OMAP3 processor, there’s 2GB built-in memory for your digital books and a microSDHC slot if you need more space. It also offers WiFi connection, but unfortunately no 3G. An on-screen keyboard appears whenever you need, and features like look up words, highlight passages, adjust the font size and style are also there, along with the new Fast Page feature, that will allow you with just press and hold of the side button to quickly scan through content and skip right to the desired section. The new Nook will allow you to see book recommendations from friends, share quotes, swap books over Facebook, Twitter and email, using Nook Friends, “an exciting social experience” previously available only to NOOK Color customers. 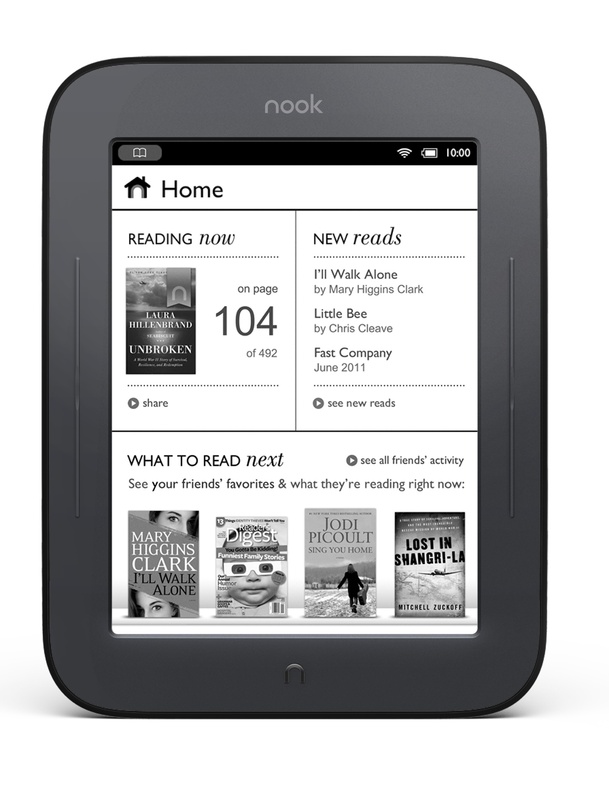 The All-New NOOK can be pre-ordered for $139 and is expected to begin shipping on June 10.